Steve Woltmann | Loyola Athletics Senior opposite Ricky Gevis was one of two Ramblers named to the MIVA All-Tournament Team. Coming back after an injury is difficult for athletes. 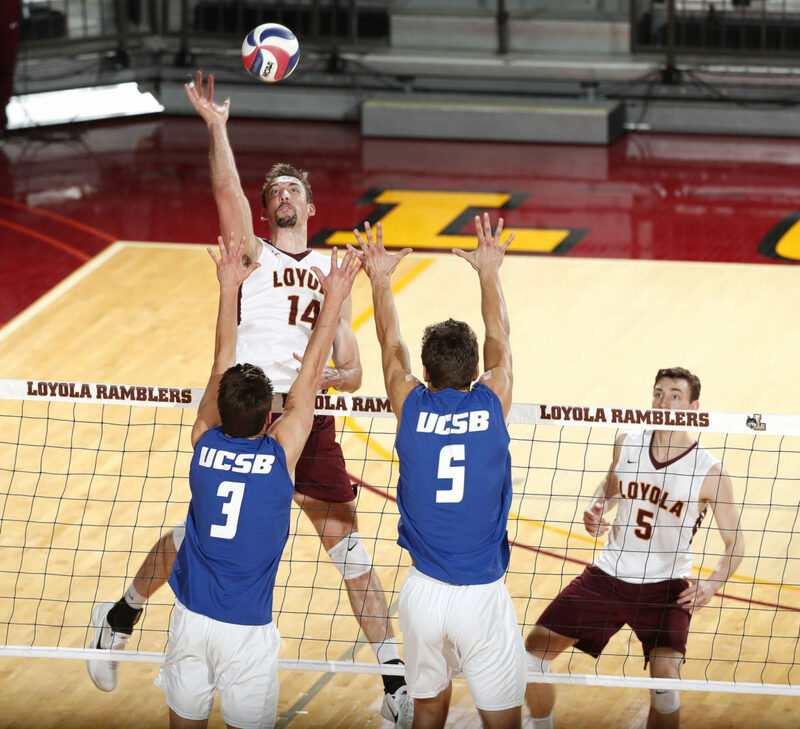 For Loyola men’s volleyball player Ricky Gevis, the key was to avoid thinking about it. Gevis — a senior opposite from Naperville — suffered a shoulder injury during the 2016-17 season. Gevis tore his labrum, rehabbed it and continued to play. When he went to swing at the ball during the third game that season, his shoulder popped out. The injury meant Gevis needed surgery. Gevis said he took his time coming back from the injury and thanks to the trainers’ help, his shoulder feels stronger. The accounting and information systems major has been playing volleyball since he was a sophomore in high school. When he was a junior he gave up the other three sports he was playing — basketball, football and baseball — to play volleyball full-time. Senior libero Jake Selsky has been playing with Gevis since their senior years of high school when they played together at Sports Performance Volleyball Club in Aurora. Selsky said it’s fun to see how much progress Gevis has made throughout his years playing the sport. Standing at 6-feet-11-inches, Gevis would seem intimidating to any opponent who didn’t know him. But he’s the best guy to go to if you need a good laugh, because he changes any serious situation into a fun, lighthearted one, according to Selsky. “He keeps things light. 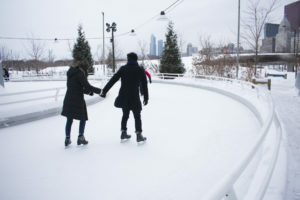 He never gets too flustered [and] keeps everyone calm and collected, which is really nice when things get chaotic,” Selsky said. Head coach Mark Hulse, who’s coached Gevis all four years he’s been at Loyola, said although Gevis’ height is intimidating, he’s actually considered one of the nicest guys on the team. Hulse said he’s witnessed Gevis grow from an athlete who was “flying by the seat of his pants” to an athlete who has matured and knows what it takes to get to the NCAA tournament and make big plays when it matters most. Gevis had seven kills and one block as a first-year in the Ramblers’ NCAA championship win over Lewis University in 2015. When Gevis was a first-year, the men’s volleyball team won its second NCAA Championship in two years. Now fully healed, Gevis is looking to cap off his final season as a Rambler with another NCAA Championship. The Ramblers are scheduled to take on Indiana University-Purdue University Fort Wayne Feb. 16 in Fort Wayne, Indiana before traveling to Muncie, Indiana to square off against Ball State University Feb. 17.